IMAGINiT Technologies is introducing the Clarity family of product which support utodesk Revit Server 2016 and Autodesk A360 Collaboration for Revit to provide superior collaboration as well as enhance BIM coordination process for managing projects & models efficiently. By using IMAGINiT Clarity products, the firms can easily deal with BIM data and distribute them with owners and other project team members. It has been detected that the IMAGINiT Clarity family of products have saved significant time for project teams (31,267 hours on 909 projects) by automating essential, but lingering tasks like printing PDFs, exporting data exchanging files, and generating data sheets. Revit/Revit Server/A360 Collaboration for Revit 2016 Compatibility. The new IMAGINiT Clarity is compatible with Revit and Revit Server 2016, 2015 and 2014 versions. 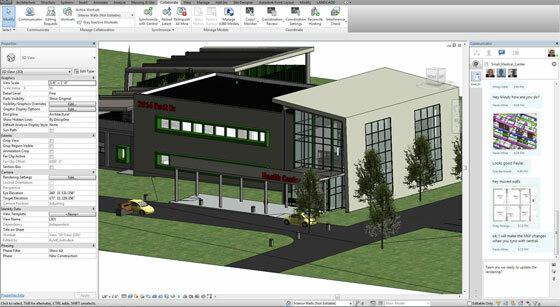 Besides, it also supports A360 Collaboration for Revit and the users can get advantages with the task automation. Next Generation Web Viewing. Users will be able to pan, zoom, walkthrough or flythrough the 3D model. If the users click on specific components, they can gain deep insight through Clarity’s datasheets. Robust Administrative Controls. Clarity facilitates BIM coordinators, CAD managers, and project managers gather information dedicatedly that was deeply contained inside Revit. The users can track the model size, service pack versions, and the necessary time to coordinate the model with Graphical representations and logs feature. These new features facilitate the managers to recognize and resolve possible errors well in advance and keep away from lost time that may arise for model corruption. Bulk Upload Projects in Revit Server. Earlier it required prolonged time to upload, open and coordinate each new model over the network, and re-path links properly. The whole process now becomes automatic to curtail the path to team collaboration.